We are big Lego fans at my house. It’s school holidays at the moment and my two have been busy playing with their lego everyday. I love it. Not only is their imagination in full flight but playing with and manipulating the blocks is great for their fine motor development. Thinking about what to build and how to make it work is excellent for their motor planning and problem solving skills. And of course being the speechie that I am, I love the language development and vocab building opportunities that arise when they are telling me what they have created and explaining how they made it. You can simply sort lego blocks into coloured groups, or place some coloured paper in a muffin tray and have your child put the matching coloured lego pieces in. If you’re feeling really creative why not make some colourful creatures and feed them their favourite lego food. Using a template like this can help your child learn what “1” and “2” and “3” objects actually looks like. 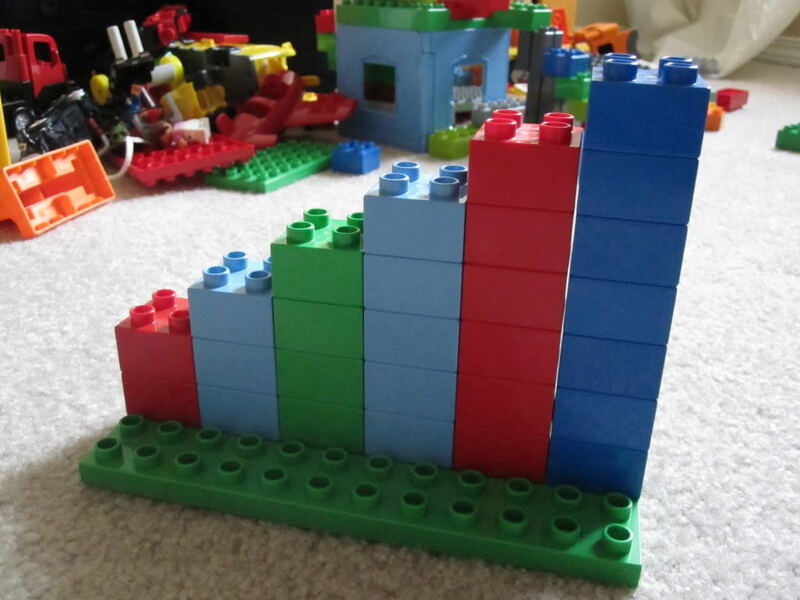 Counting each piece slowly as you take lego pieces out of the container or pack them away is also a great way for them to learn how to count meaningfully, instead of just rushing through “1,2,3,4,5…” like a song. Building towers of different sizes is a great way to learn about adjectives such as “big” and “small” and “long” and “short”. Don’t forget to use some comparatives and superlatives too such as, “big”, “bigger”, “biggest” or “long”, “longer”, “longest”. If your little person likes singing their ABC’s, why not build some letter towers as you sing along? Remember to use these ideas in a fun and friendly way, and keep reminding yourself that it’s just a game. We don’t want it to become a “test” of “What’s this letter?” or “What comes after B?” When it comes to learning new things exposure is the key! 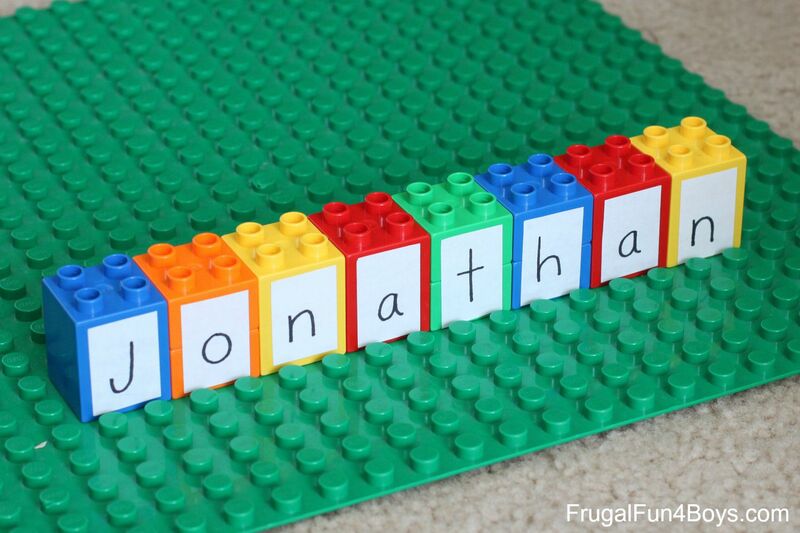 Making your name out of lego is certainly more fun than tracing letters on a worksheet for some children. Again, exposure is the key so you will have to “help” them build their name many many times before they are ready to have a go themselves. At first they might just identify the first letter of their name which is a great start. Slowly but surely the rest will fall into place. If you have any other lego games or activities that are fun for home or school be sure to let us know!